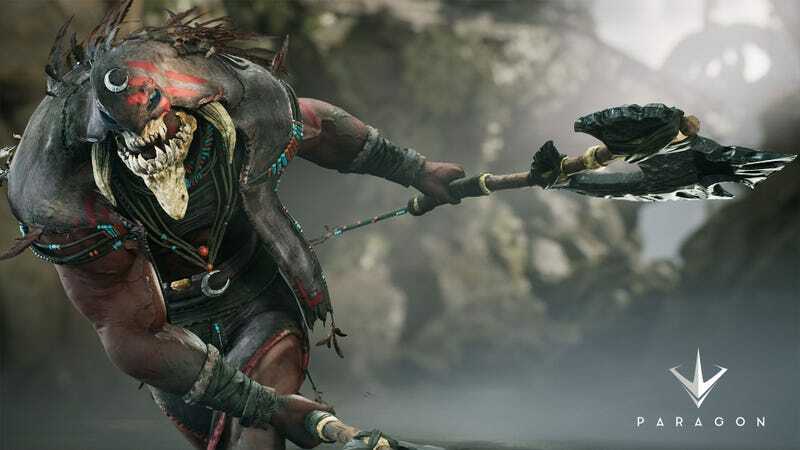 Epic Games probably wants you to call him Khaimera. That’s fine. Skull-Face McMoonhead launches today in Paragon’s paid-beta, dual-wielding axes and rocking that hoodie-covered skinless monster head look all the kids are into these days. A cursory viewing of Skull-Face’s introduction video indicates that I am going get very annoyed with him. The game’s first duelist, he’s a high-risk, high-reward warrior who excels at isolating enemies and bringing them down, and I’m not a fan of being isolated. He’s got Spirit Regeneration, which increases his health regen rate with every basic attack he lands. He sounds like a real jerk. Paragon’s free open beta launches August 16 on PC and PlayStation 4, at which point there will be countless paid beta players who have already mastered the art of killing you all with Skull-Face McMoonhead. So who’s all playing this game, anyway? Are you looking forward to Epic’s take on the MOBA, or are you wondering why I bothered posting about Skull-Face at all? Sound off in the comments!